CLC World Resorts & Hotels (CLC World) has announced the addition of a further yacht, CLC Gemini, to Club La Costa Yacht Club. Based in the British Virgin Islands, it offers members the opportunity of winter sailing in the Caribbean to complement the Mediterranean summer sails. The British Virgin Islands (BVI) are one of the world’s top sailing spots. A sailor’s paradise with calm currents, consistent trade winds, protected bays and more than a hint of a pirate past, it is comprised of four main islands – Tortola, Virgin Gorda, Jost Van Dyke and Anegada – that are complemented by fifty plus smaller isles. The BVI offers an unspoiled Caribbean experience. This sailor’s dream was the reason CLC World chose the BVI for the home port of its newest yacht. A sleek 60-foot catamaran, CLC Gemini combines grace, size and beauty. On-board, the interior has a light and airy feel courtesy of its wide-aspect windows. The upper-level saloon is spacious with comfortable lounging area including plasma screen TV, DVD player and radio/CD with cockpit speakers. A professional cook prepares sensational meals from the well-equipped, open galley and there’s plenty of room on the yacht’s double hulls, and the trampoline nets that stretch between them, for sunbathing and socialising. The four double, en-suite air-conditioned cabins are at the extremities of the yacht ensuring privacy and personal space. 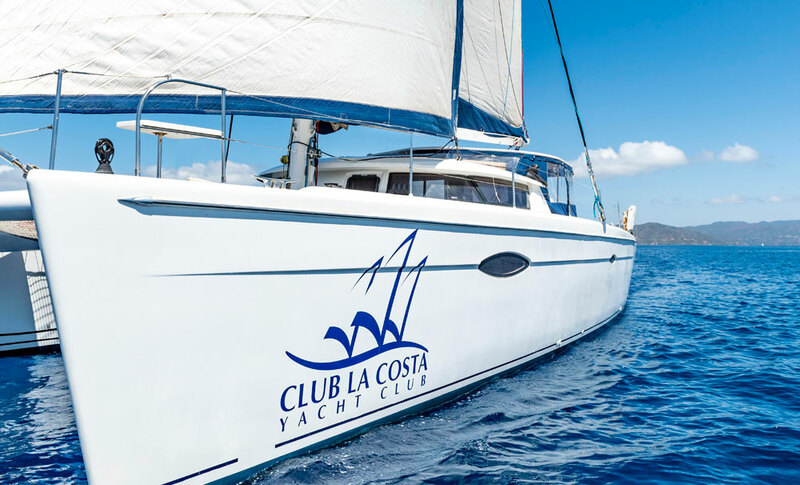 Captain Leor Revivo is passionate about sailing, with more than 15 years’ expertise in the marine holiday industry, and excited about Club La Costa Yacht Club’s recent addition and destination. “We launched the Yacht Club in 2007 and have been sailing the Mediterranean around the islands of Greece, Turkey, Italy and Spain, offering our members inspirational and changing itineraries, ever since.Members do not need to be experienced sailors with our professional crew at their disposal. However, those who wish to can help the crew sail the yacht. As well as warm and sunny climates, the Yacht Club’s destinations are ideal for a range of water sports: snorkelling, water-skiing, wakeboarding, fishing and scuba diving. The BVI have a range of world-class dive sites including the RMS Rhoneoff Salt Island and Kodiak Queen, with her Kraken, off the shore of Virgin Gorda. Club La Costa Yacht Club’s supervised dives allow members to explore these sites and the compelling marine environment, creating magical memories.